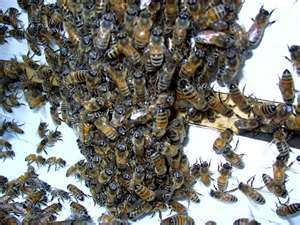 Swarm Intelligence — any parallels to team dynamics? Ran across some interesting stuff on something called “swarm intelligence” This caused me to wonder if the concepts that they’ve identified might also apply to things that hit closer to home (at least for me). Some of the theory behind why agile methodologies, most notably SCRUM, is based on the power of self forming/self-directed teams. This got me to thinking, some of it runs counter to a lot of what I’ve come to observe/believe. The premise of much of the swarm intelligence is that power can be obtained primarily in numbers, and not necessarily in the expertise of the individuals on the team. Perhaps this can happen in areas of work that aren’t specifically “knowledge-work”, but perhaps some of the underlying premise of the swarm, and overall social intelligence can be realized through well healed and aligned teams. Seems like some of the basics of effective team or group behavior ought to apply to sprint teams that have developed a strong rapport and have healthy intra-team dynamics. Folks on these teams ought to be reasonably comfortable with one another, have a healthy trust, and be able to candidly agree and disagree as appropriate. Those discussions and interactions could theoretically be the guiding principles that keep the group heading in the best direction. Positive outcomes are amplified and negative movements discouraged. The resulting direction and movement of the group should theoretically move in a positive way. I’m confident that I’ve observed this, but contrary to the swarm model, these factors seem to work the best when the teams are composed of folks with the qualities of the best and the brightest. Emotional behavior is another determinant. When group members respond with signficant emotional content, there’s a transference throughout the team. This can be tricky though. Resonant transference of emotions would occur when there’s empathy (e.g., negative feelings transfer from one member to another, or positive do the same) or to the opposite, when there’s a lack of empathy (emotions can be met with cynicism and be received in a manner contrary to the originator’s sentiments). What do you think? Seems like there’s something there…. This entry was posted in Group Dynamics, management, software development, Uncategorized and tagged emotions, Group Dynamics, Organizational Dynamics, Software Managemnent, Swarm. Bookmark the permalink.